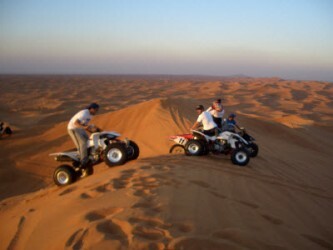 Experience the dramatic desert scenery of Abu Dhabi, with imonholidays’ quad biking trip. 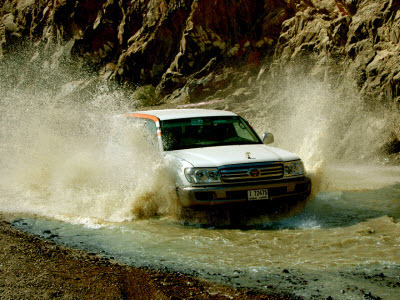 No prior experience is required to indulge in this exciting pursuit. 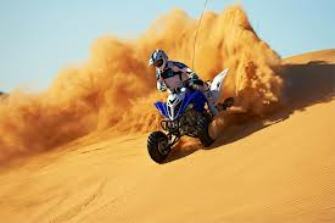 So, even a newbie who is 16 years or above can enjoy this fun, invigorating way of desert exploration. 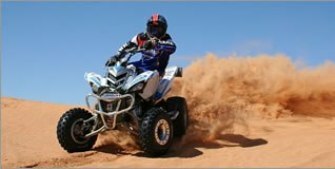 Our quad biking session will kick off with a safety briefing by our expert and trained quad bikers, which will introduce you to your quad bike and its control features while providing a lucid understanding on its maneuvering as well as proper steering techniques to ensure appropriate and safe ride. 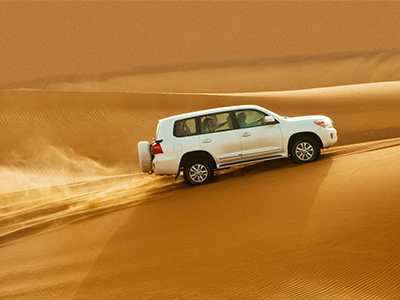 Once everything is clear, you can be off on your rugged desert expedition that would keep your heart thumping as you weave, bump, and jump from one golden dune to other. 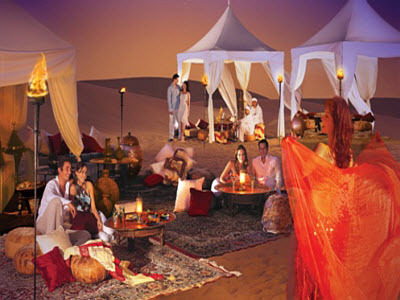 The trip is rounded off with convenient stopovers for refreshments and photographic opportunities. 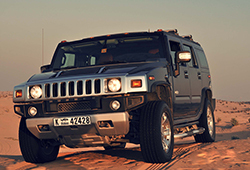 To obtain more info on this package, feel free to get in touch with us. It was better than I thought. 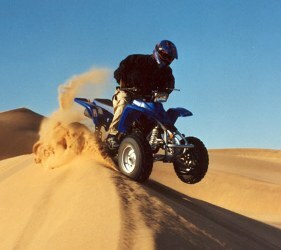 Instructors were very entertaining and gave us a good intro on the use and safety of quad bikes. 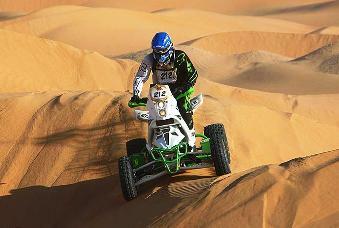 It was totally a great experience to get out of the crowd of the city and indulge in something really exhilarating. 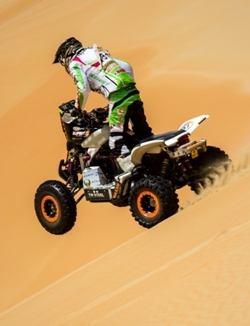 IOH’s guys have all – perfect knowledge, well maintained quad bikes with good safety techniques. 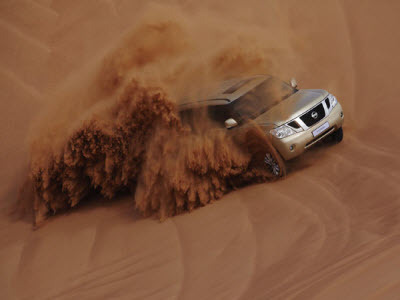 Not much to say about this desert safari than incredible! 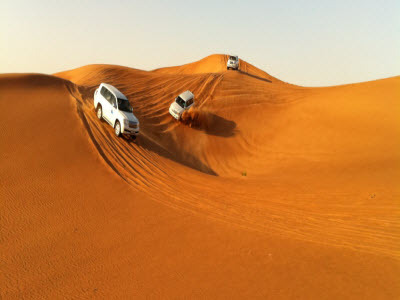 This was the top highlight of my one-week stay in Dubai. Will recommend it to all.